Saturday, December 3, 2011. A number of Tigard residents stopped by to met Santa and learn about Tigard's history in a warm and decorated Victorian house. Tigard Historical Association members provided the history along with hot cider and cookies. Just click on the pictures below to see the entire album! The City of Tigard held a birthday party at the Tigard Library featuring Curtis Tigard, Mayor Dirksen, and the Woody Hite Big Band on Sunday, September 11, 2011. Just click on the pictures below to see the entire album! The Oregonian also covered this event. You can read The Oregonian article by clicking here. Many thanks to reporter Matt Buxton and photographers Tyler Tjomsland and Jayme Fraser. Curtis Tigard - 102nd Birthday Party! Click on the pictures below to see the entire album! Just click on the pictures below to see the entire album! It was a beautiful October Saturday for a visit to the Fall Apple Harvest. A recently acquired old "Apple Press" was featured at the Festival. Many thanks to all that attended this annual event. Just click on the pictures below to see the entire album, then click "Full Screen." 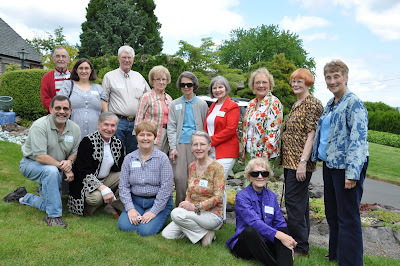 Many thanks to the Oregon Old Time Fiddlers for providing music, Davidson's Restaurant for donating fresh cobbler and ice cream, the Tigard Quilters for showing their crafts, and to THA members for donating their time. Just click on the pictures below to see the entire album, then click "Full Screen." Over 100 people visited the John Tigard House to enjoy fresh apples, apple pie and live music on a cool and clear fall Saturday afteroon. Over 100 people visited the John Tigard House to enjoy fresh pie, ice cream and live music on a pleasant summer aftenoon.